It is latest Modchip for 3206 drive. No need to cut any wires from the drive board. It is fully support fdsstick read/write disk. Just want to let you guy know, if you want to mod your 3206 drive for use on fdsstick. Then you *MUST* use 3206 Mod Chip v2. Also, you *MUST* use latest software from fdsstick site. If you use V1 chip on fdsstick, then you can not read or write. Also, when you read disk, it will format your disk. I’m sorry about that. But V1 chip had been released before fdsstick. I don’t know it is not compatible with fdsstick. I confirm 3206 modchip is not compatible with fdsstick read/write. When it is develop, fdsstick haven’t appear. So, I can’t know that. It is working good except fdsstick. 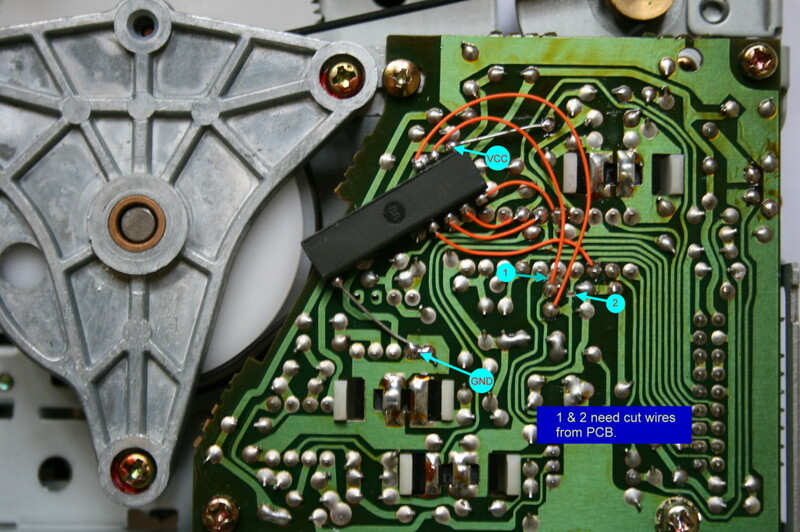 Like Copy Master 1.1, Disk Hacker else. Also, it can work with any fds game with save function like Zelda. I’m finding a way to make it compatible with fdsstick. But need some times. I will check what different with Copy Master and fdsstick read/write. Hope will fix soon. Sorry. 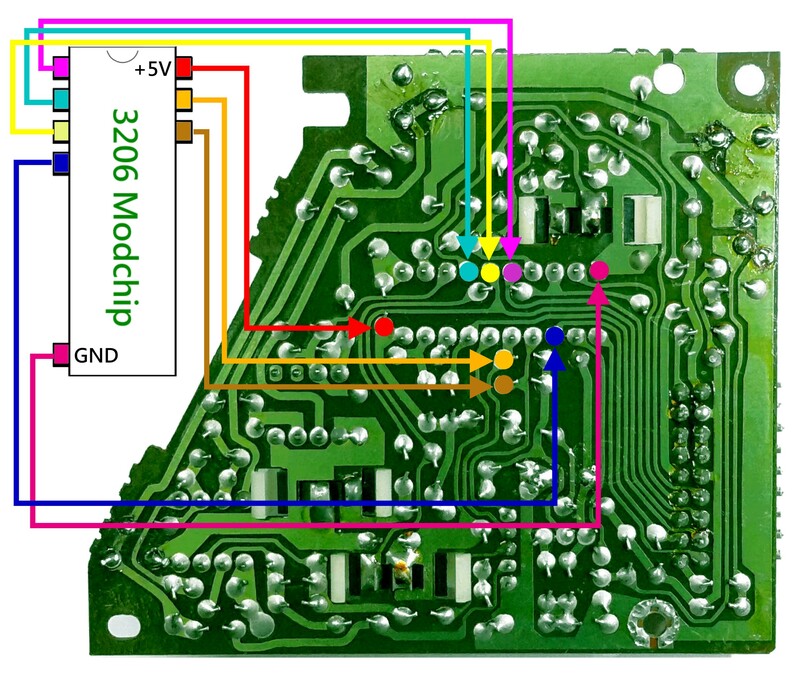 If you use Modchip, it is easier to install. You need to mod both Power Board and Drive Board. 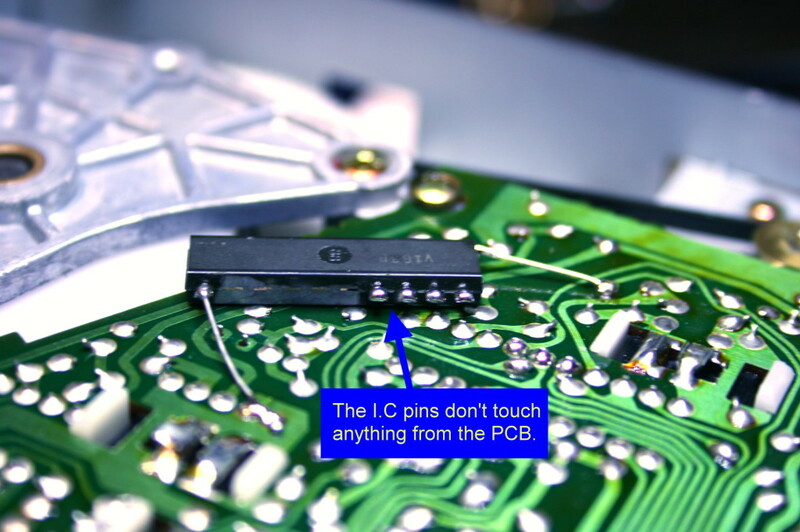 1) Modchip pins don’t touch anything from PCB. 2) Drive PCB need to cut two wires and solder 8 wires to the Modchip. 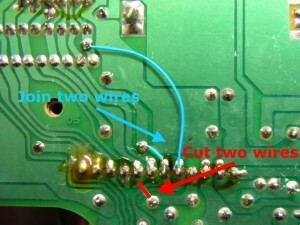 Cut two wires and solder two wires.